Looking for owl stuff? 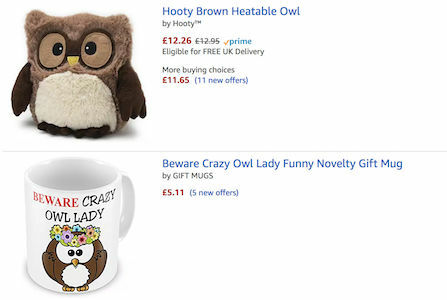 Here you'll find owl gift ideas from Amazon including accessories and personalised owl gifts. For her and for him, some people just love cute owl presents! 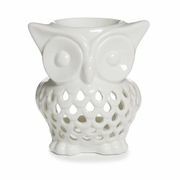 Here on Latest Deals we scour the web looking for the best owl bargains to help you save money. Deals, discounts and voucher codes you can use. Have a look below for your perfect owl present. The best and cheapest owl stuff you can find online! Owls are majestic and mysterious creatures that closely resemble humans. Because of their grand exposure and involvement in various folklore, we developed this big fascination to them. Owls have been a part of different cultures, and we can expect the fascination to continue to grow in the years to come. Along with this natural allure, we can expect owl trends to pop up once in awhile in the market. This is good news to all of the owl-lovers out there. Finding the best cheap owl stuff in the UK is made easy by Latest Deals. 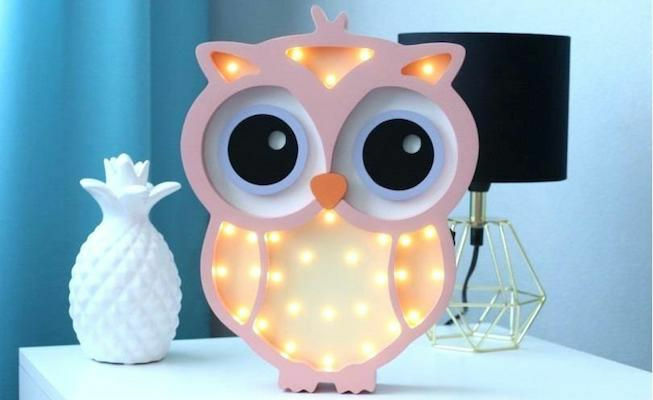 Here you will find affordable quality owl accessories, owl toys, owl-themed items such as bags, footwear, clothing, and more which you can give as owl birthday gifts. 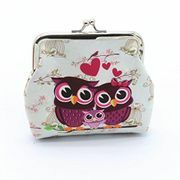 We also have the best offers on personalised owl gifts and cute owl presents like mugs, pillows, keychains, and shirts. Whatever your budget is, you will surely find owl gifts for him and her that will not bend your wallet. Our massive community of bargain hunters are always sharing verified sales and special offers on owl-inspired items from major UK retailers. We also have a team of money-saving experts who regularly provide essential shopping tips and tricks that can give you some serious money off on your instore and online purchases. Most UK retailers have sale events, flash sales, and seasonal clearances where you can save as much as 60% off on a wide array of owl gift ideas. You can also expect major price reductions during Black Friday and Boxing Day. But if you want to truly maximise your savings, make sure to use the latest owl discount codes we have here. There are also owl voucher codes you can find where you can get freebies or free shipping. If you are on a tight budget, but you still want to get an awesome gift for your owl obsessed loved one, we got you covered. Take a look at this list of owl-inspired items that do not go over £10. Lisa Parker Design Fantasy Wise Owl Mug, HOME. This ceramic mug made in China has a majestic owl image plastered all over it that every owl lovers would love to have. It is microwave, food, and dishwasher safe. This is a great gift idea to boost the receiver’s daily morning coffee or tea routine. Personalised Tote Bags, eBay. If you are in search of a personalised owl gift, you may want to consider this tote bag from eBay. Since it’s personalised, you get to choose from their wide owl design collection, and even include a few phrases or texts. Crystocraft Owl Ornament, HOME. This home ornament is an elegant addition to any room, especially to a mantelpiece. It’s made with beautiful Swarovski elements making it a perfect gift for her. Aurora World Mini Flopsie Snowy Owl Plush Toy, Amazon. Aurora World is widely known to be one of the leading suppliers of affordable yet quality gift products. A good cuddle companion for kids and adults alike. Handmade Owl Men Bracelet, Etsy. This hypoallergenic handmade bracelet is the perfect owl gift for him. It’s made of black rubber with a silver plated owl. Ideal for daily wear. Now that we have seen the list of best budget owl gift ideas and the list of UK retailers offering owl stuff, here are some things about owls that will surely amaze you. Owls are farsighted. Owls are able to spot targets from a distance. Even though everything seems to be a blur up close, their eyesight is exceptional that they can even see in the dark. Owls make no noise when flying. This makes them different from other birds. The secret behind this exceptional ability is their special feathers that reduce sound. They have the ability to camouflage. Owls tend to blend in with their environment especially in daylight during their sleeping time. Owls are sociable. This is the reason why humans get along with owls quite well. This traces back to the ancient times where you can see old cave paintings and even Egyptian hieroglyphs with a symbol of an owl. Owls eat their prey WHOLE. As gruesome as it sounds, this is the typical eating process of most of the owls. Their digestive system is quite special that it compacts the prey’s body parts that can’t be digested which they, later on, throw up.